Brett Scott is Associate Professor of Ensembles and Conducting at the UC's College-Conservatory of Music, where he conducts the CCM Chorale, teaches conducting and literature at the graduate and undergraduate level, and is Music Director of Opera d’arte. Under his direction, the CCM Chorale released its first commercial recording, Lux Dei, through Ablaze Records, and has begun production of its second recording, focusing on sacred music for choir and electronics. Chorale has given multiple regional and world premieres by both American and international composers, including the 2015 revival performance of Dave Brubeck’s The Gates of Justice, and in 2016 the regional premiere of Abyssinian Mass by Wynton Marsalis, and the North American premiere of Stabat Mater by Ivan Moody. Under his direction Opera d’arte has won numerous awards through the National Opera Association. His conducting students have three times reached the finals of the ACDA graduate student conducting competition and have been selected to participate in Chorus America masterclasses. Prior to his appointment at the University of Cincinnati, Scott was Director of Choral Activities at the University of Rochester and Assistant Professor of Music at the Eastman School of Music. Comfortable in front of a wide range of ensembles, Scott currently directs the Cincinnati Camerata, Cincinnati’s Musica Sacra, and Coro Volante, a vocal ensemble dedicated to the performance and recording of music by living composers. 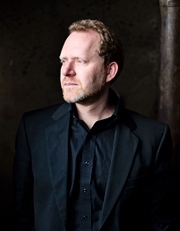 He has recently led the Camerata in the regional premiere of Arvo Pärt’s Passio, and in collaboration with concert:nova and Nanoworks Opera, the regional premiere of Jonathan Dove’s community opera Tobias and the Angel. Scott has conducted and taught throughout the United States, Canada, Central America and Europe. An acknowledged expert on contemporary music, Scott is in demand internationally as a lecturer on Canadian music and has presented at several national and international conferences. He was editor of Chorus America’s Research Memorandum Series, an Associate Editor of NCCO’s The Choral Scholar, and has been contracted to write the authorized biography of Canadian composer and activist Raymond Murray Schafer. In January 2018 Scott will begin a two-year term as President of the National Collegiate Choral Association. BM, Canadian Bible College, Regina, Saskatchewan, Canada. MM, University of Regina, Regina, Saskatchewan, Canada. (PI), Cornish Scott, Lincoln, R. Murray Schafer: A Life in Music, UC's University Research Council. (URC Faculty 2012-13), $8,000.00. 05-01-2013 to 06-30-2013. Status: Active.